The government is mulling strategic sale of Air India subsidiary AIATSL to raise funds and help cut debt of the national carrier, according to official sources. Strategic sale of Air India Air Transport Service (AIATSL), which provides ground handling services, is being planned as part of the turnaround scheme for Air India which is reeling under a debt burden of Rs 480 billion at end of March 2017. The official sources said strategic sale of AIATSL is in the works. "The Expression of Interest (EoI) for bidders would be floated soon after the GoM clears the EoI," the sources told PTI. The stake sale plan follows the decision of Finance Minister Arun Jaitley led ministerial panel in June to make the airline competitive, but cutting down debt and raising resources by selling land assets and other subsidiaries. The Group of Ministers (GoM) had decided to revive Air India after the government's offer to sell 76 per cent stake in the airline failed to attract any bidder earlier this year. The government had originally proposed to offload 76 per cent equity share capital of the national carrier as well as transfer the management control to private players. The buyer would have had to take over Rs 240 billion debt or the carrier along with over Rs 8,000 crore of liabilities. However, the stake sale failed to attract any bidders when the bidding process got completed on May 31. In June, the GoM then decided not to go ahead with Air India stake sale in an election year. As per latest data, in 2016-17, two subsidiaries of Air India AIATSL and Air India Express Ltd posted profits. While AIATSL earned Rs 61.66 crore profit in 2016-17 fiscal, another subsidiary AI Express earned Rs 2.97 billion as profit. 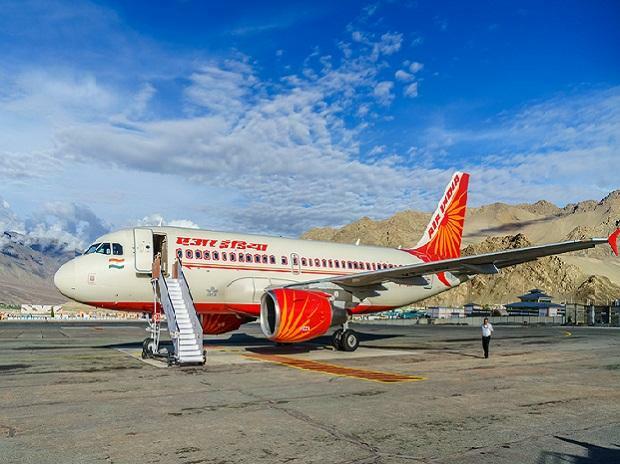 Some of the other subsidiaries of Air India include Air India Charters Ltd, IAL Airport Services Ltd, Airline Allied Services Ltd, Air India Engineering Services Ltd and Hotel Corporation of India Ltd. Besides, catering services provider AISATS a 50:50 joint venture between Air India and SATS Ltd too posted profit of Rs 660.6 million in 2016-17. AIATSL was incorporated in June 2003 with the objective of carrying on the business of providing all types of services at airport. Under the administrative control of Ministry of Civil Aviation, AIATSL is 100 per cent subsidiary of Air India. The company is engaged in the business of providing repairing, maintaining, servicing, refurbishing providing engineering services of and for aircraft. Industrial / Business operations of AIATSL include rendering airport ground handling services, including passenger, ramp, security and cargo handling for Air India.